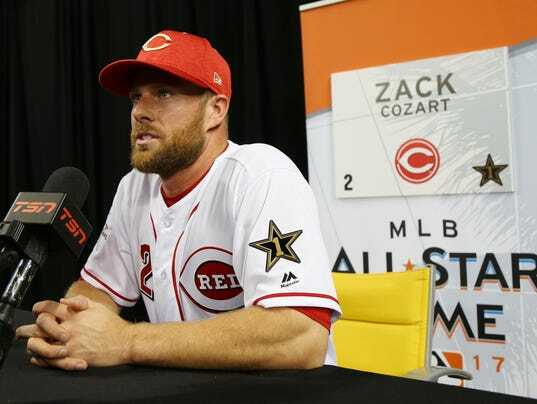 Joey Votto is close to picking a donkey for Reds teammate Zack Cozart, who will be rewarded by his teammate for his first All-Star appearance. MIAMI — Joey Votto is down to two donkeys for Zack Cozart and soon, Cozart will have his prize for being named to the 2017 All-Star Game in Miami. Votto, who earlier this season promised Cozart a donkey if he made the All-Star team, has been doing his research on Cozart’s new pet. Votto said he expected to deliver the foal to Cozart as early as the team’s opening homestand.